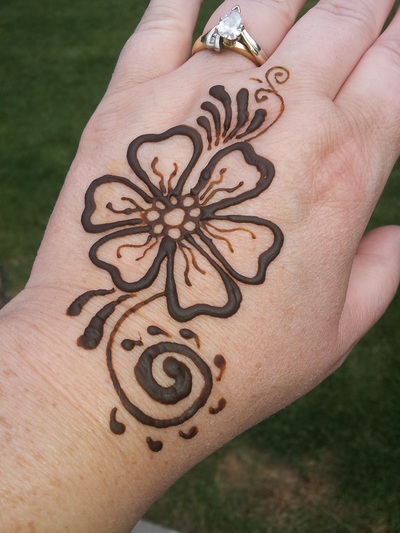 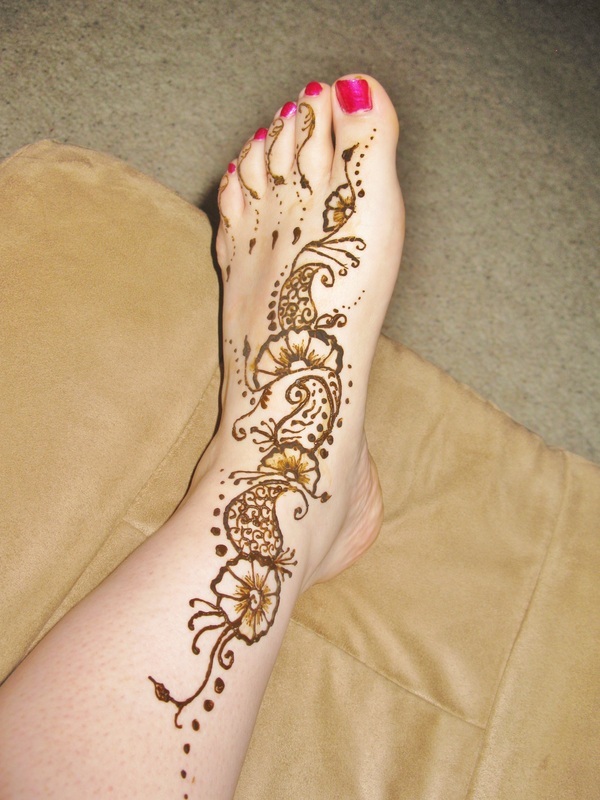 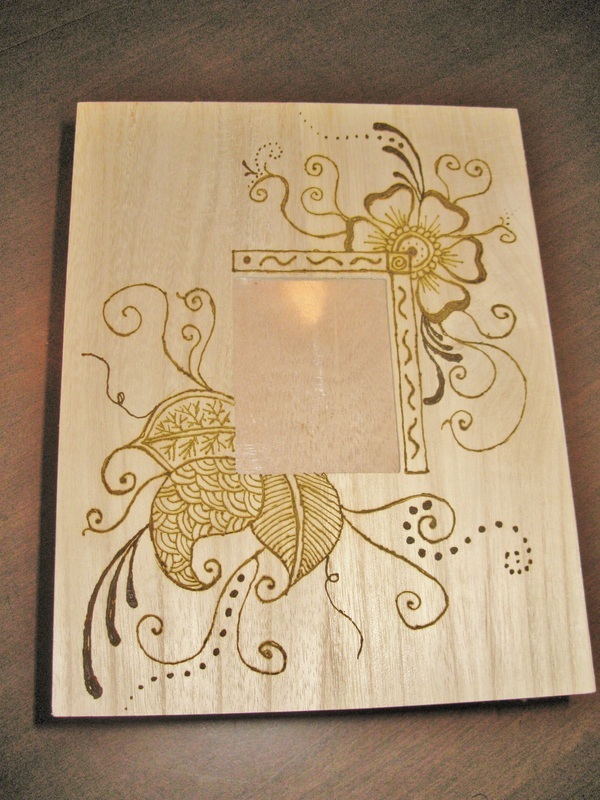 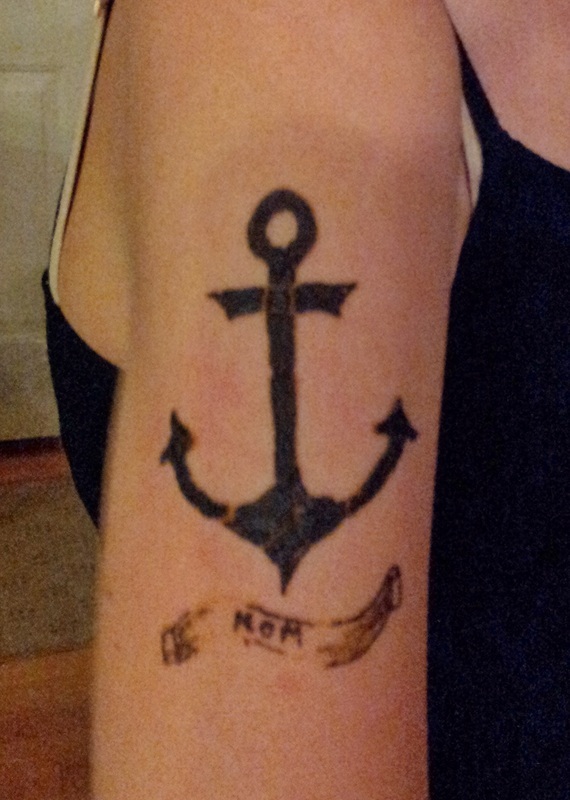 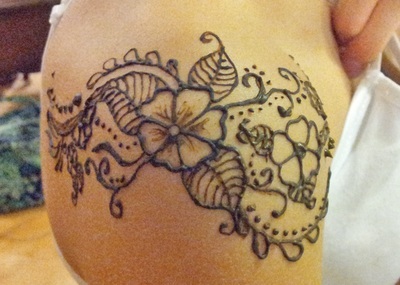 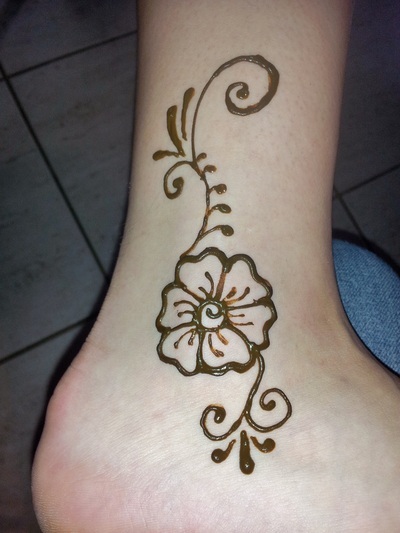 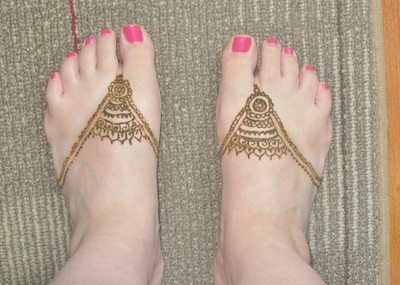 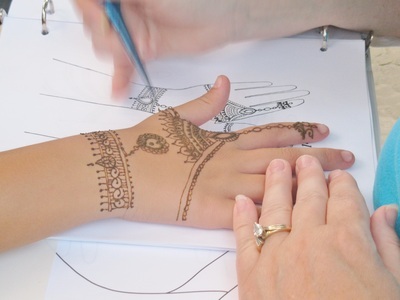 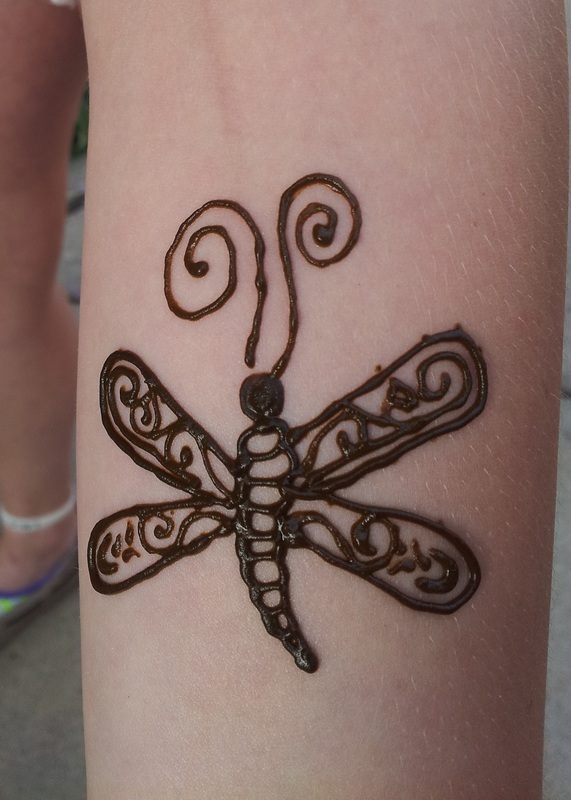 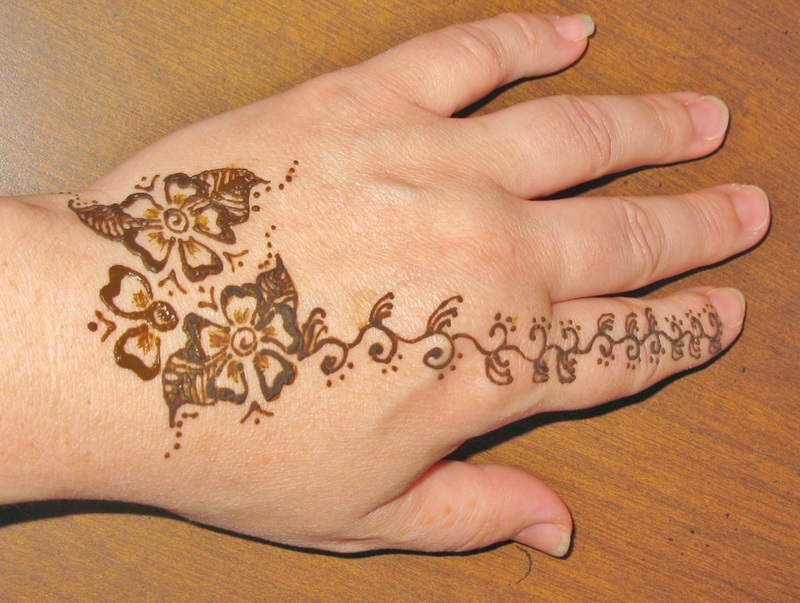 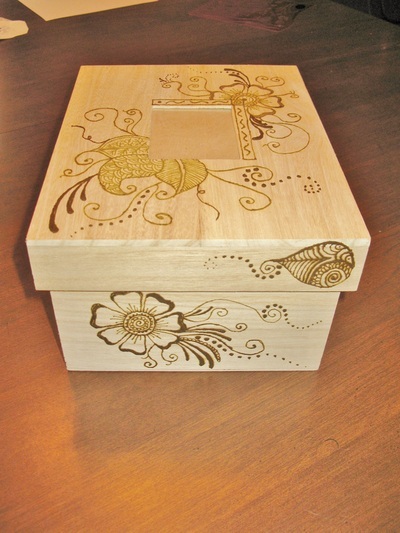 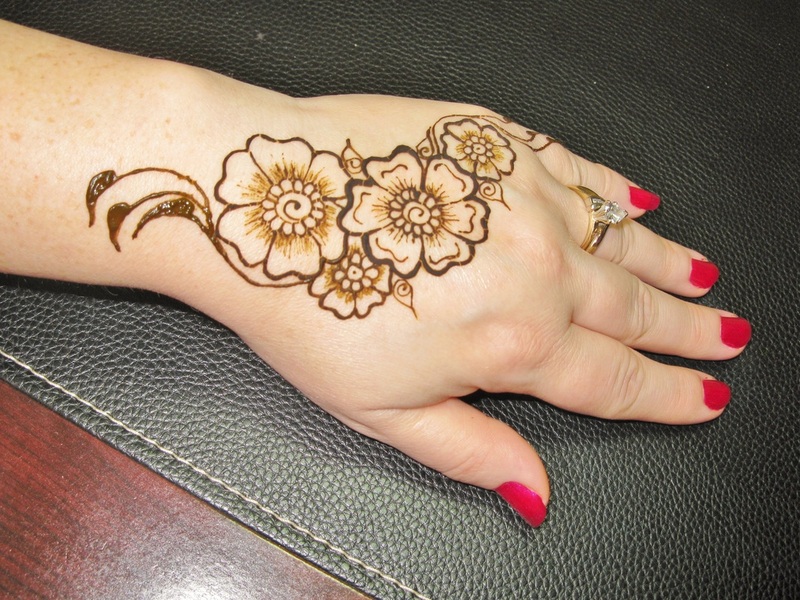 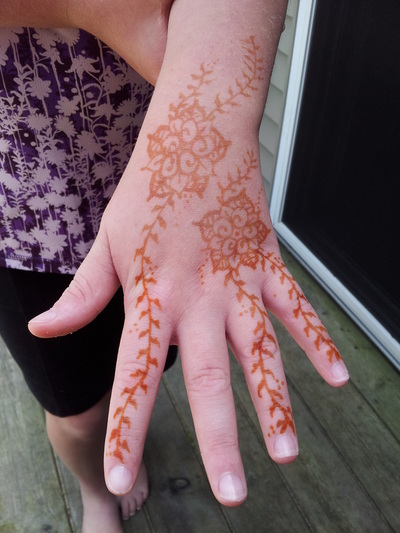 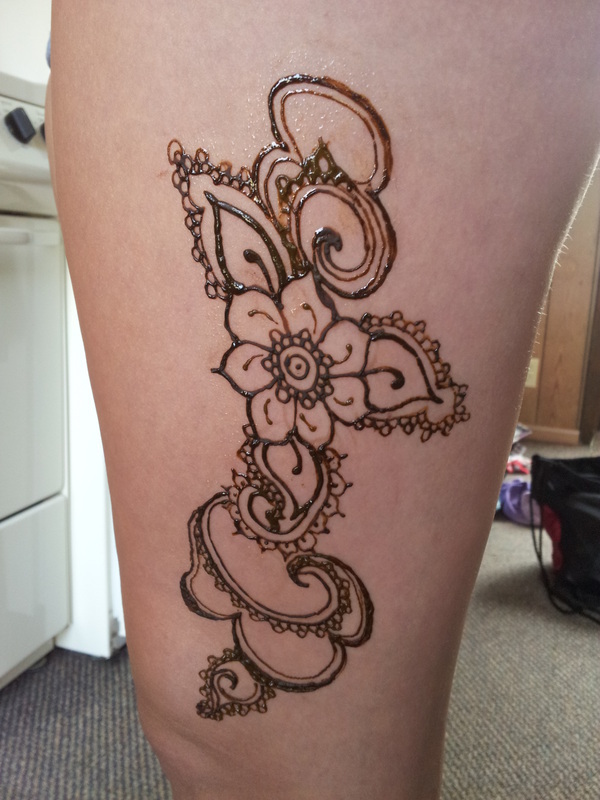 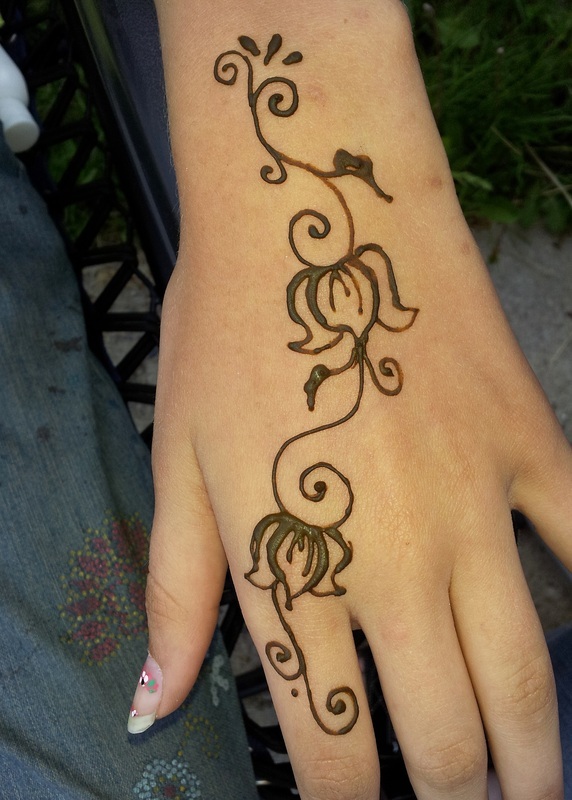 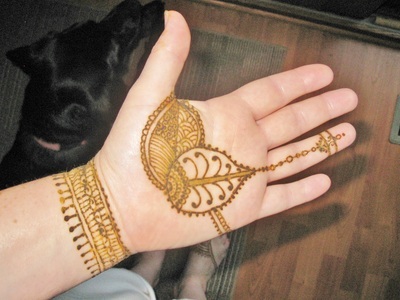 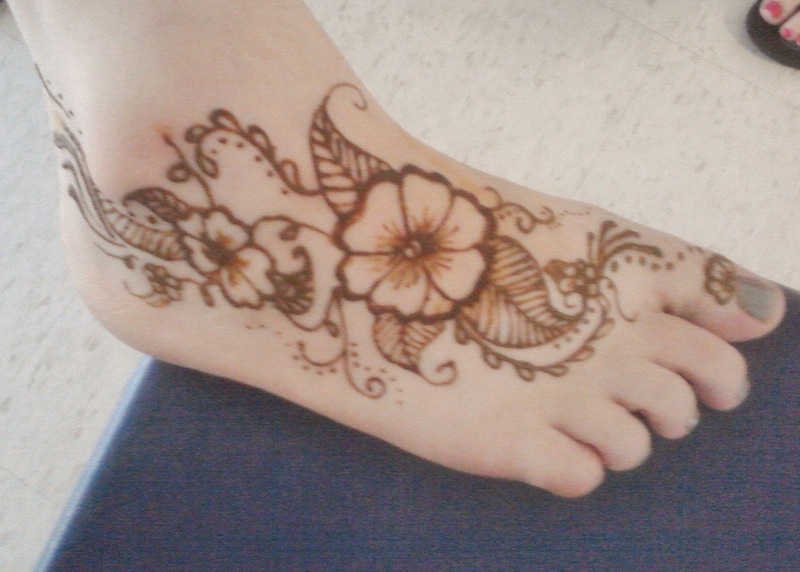 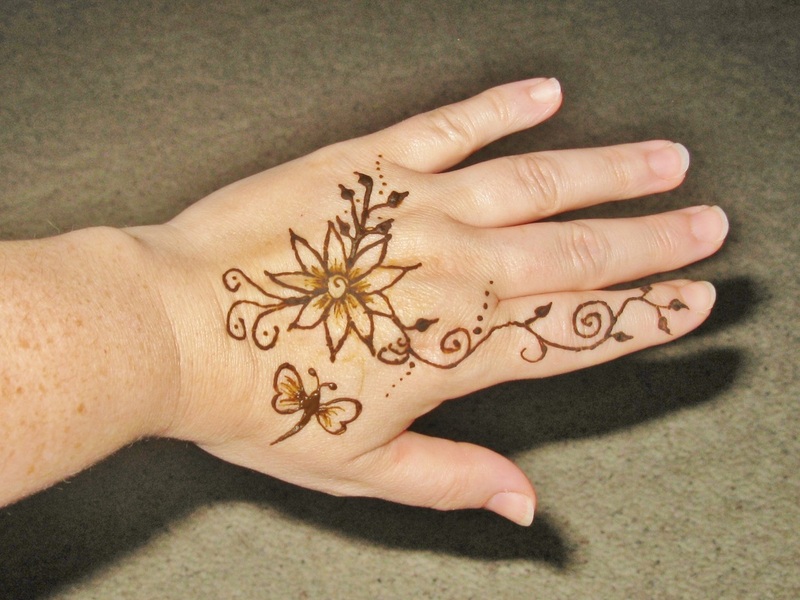 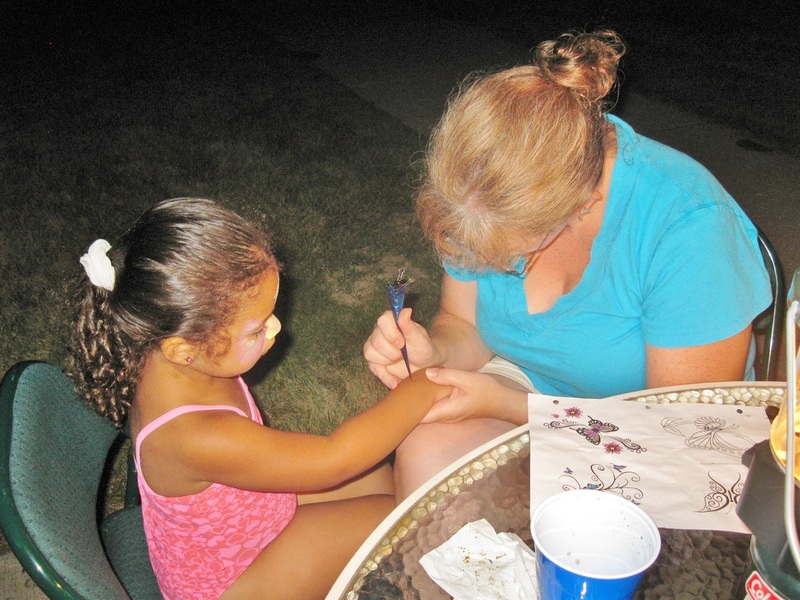 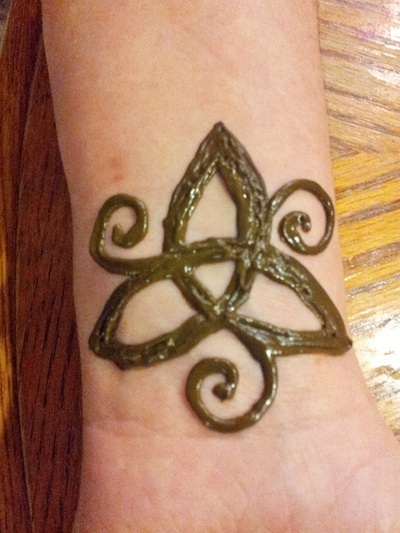 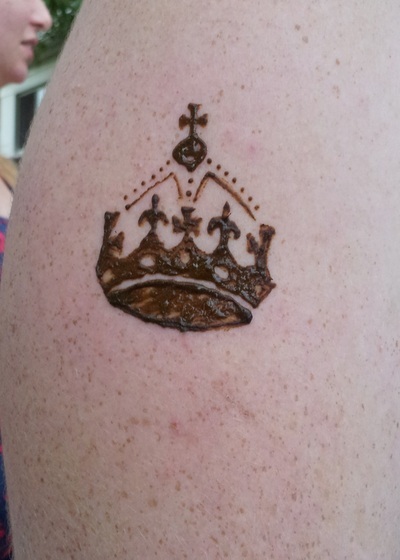 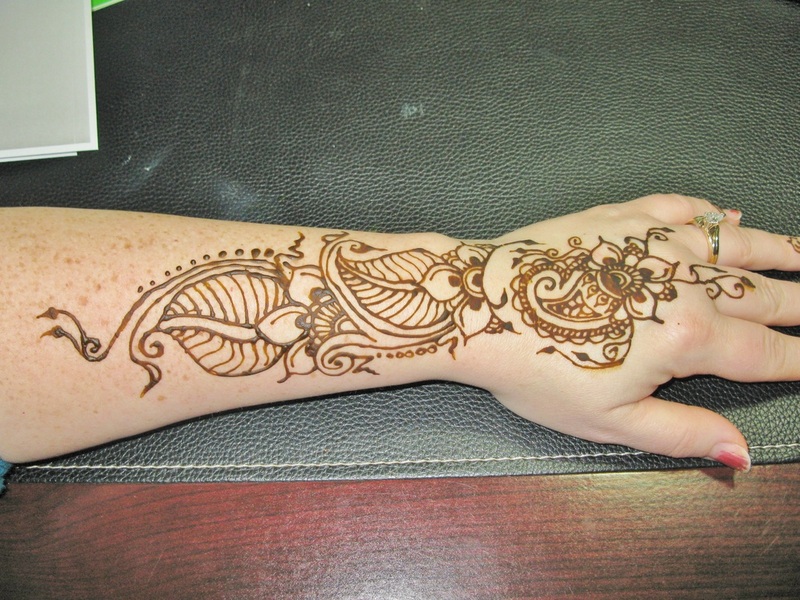 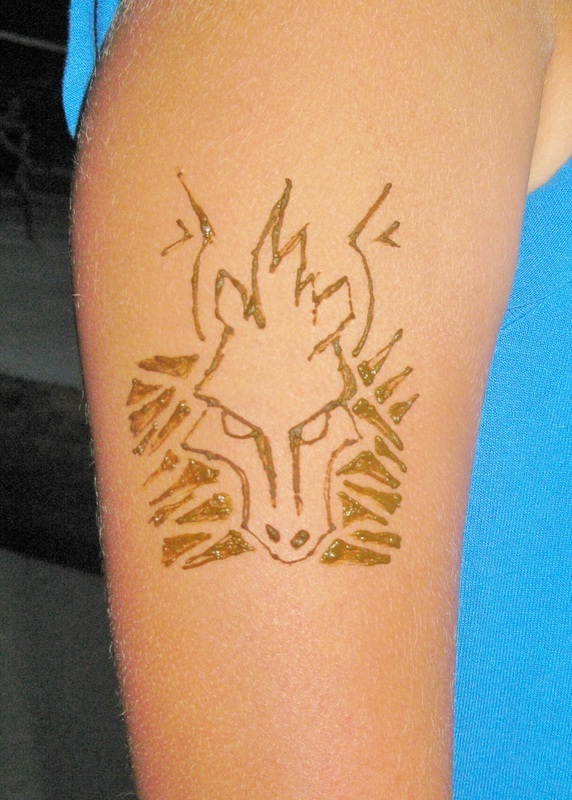 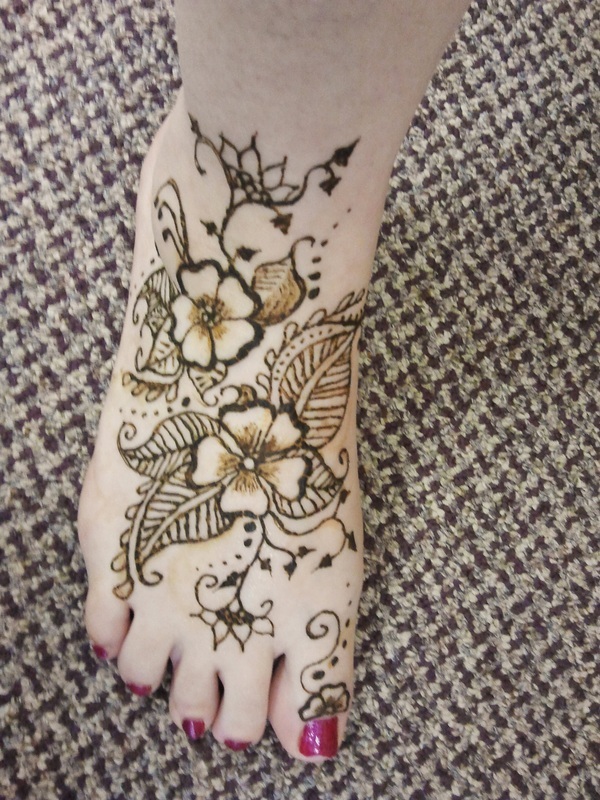 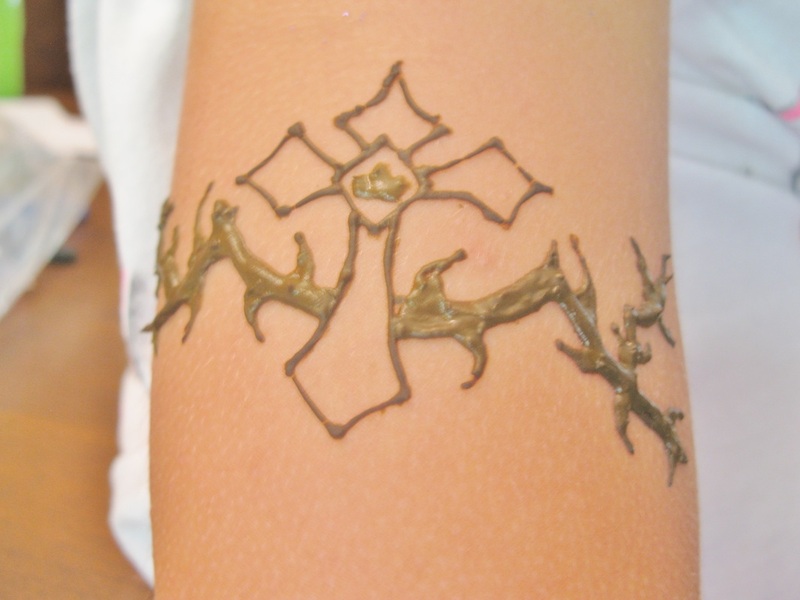 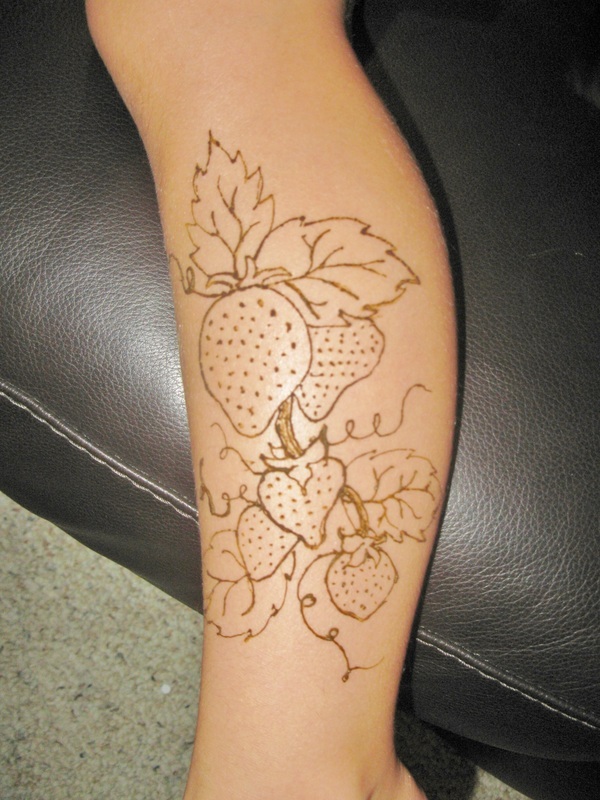 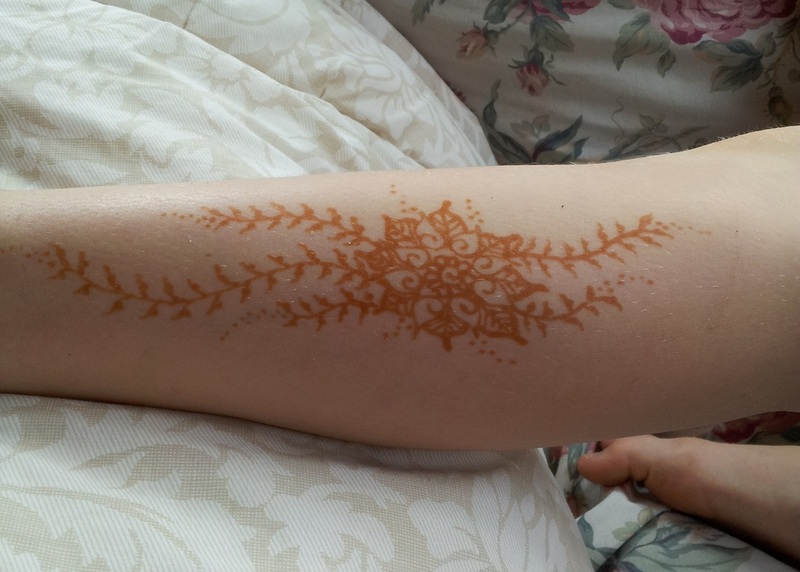 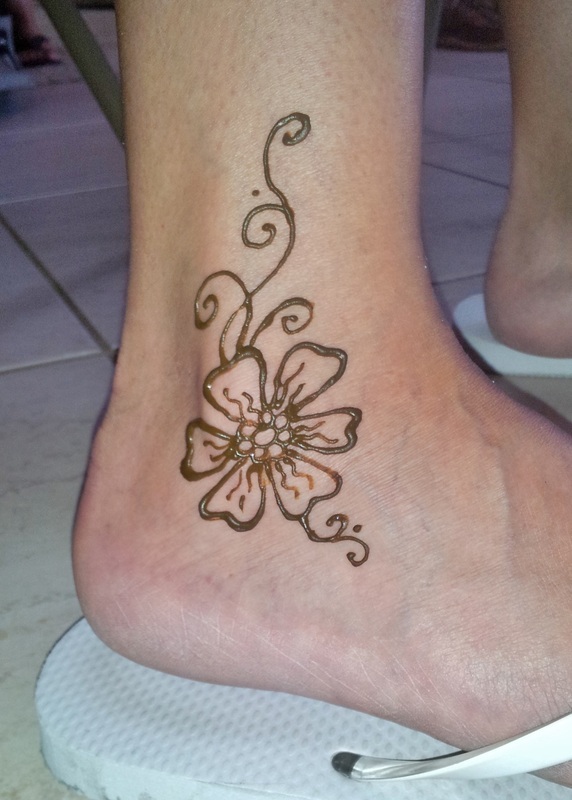 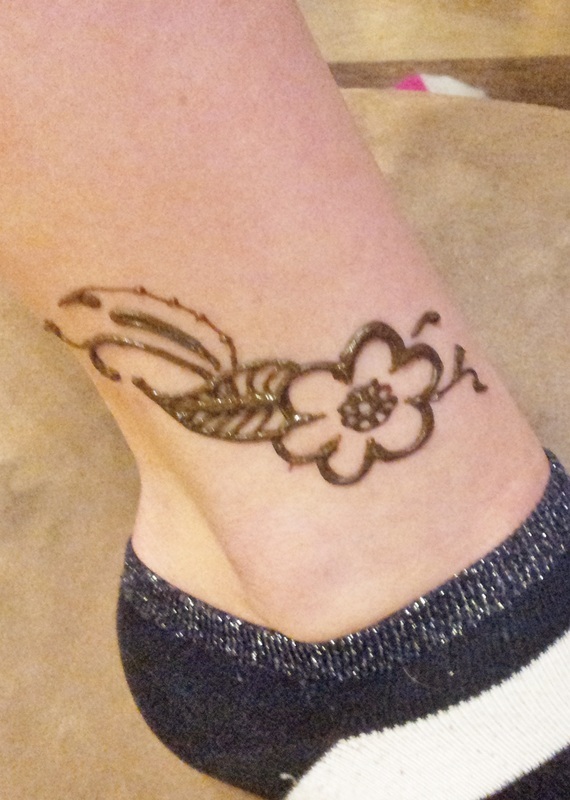 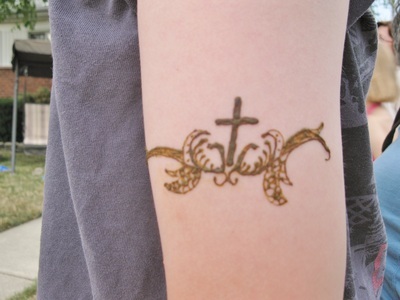 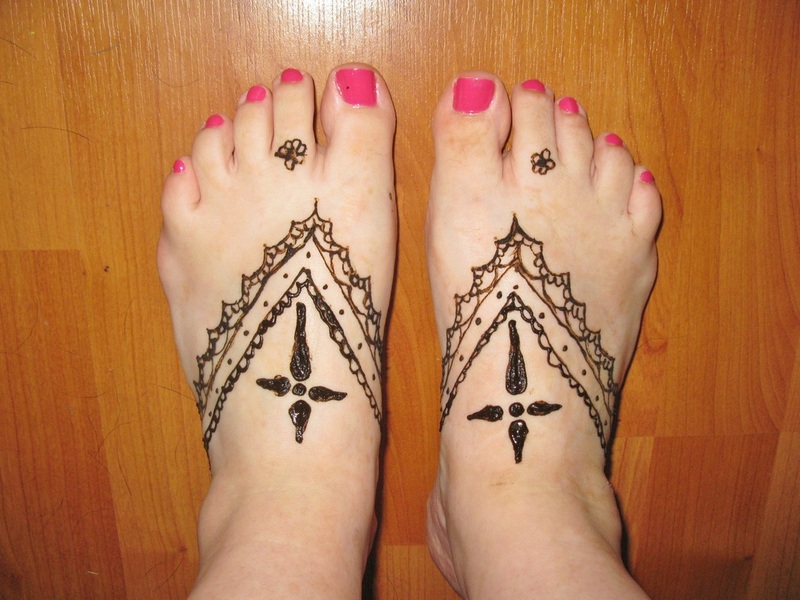 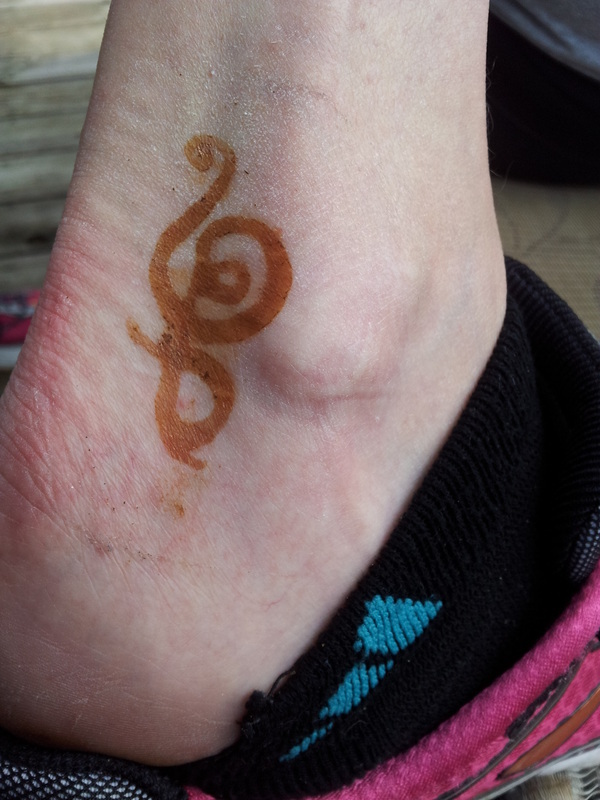 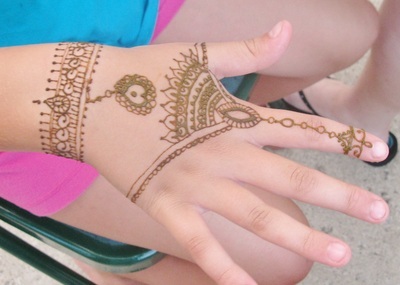 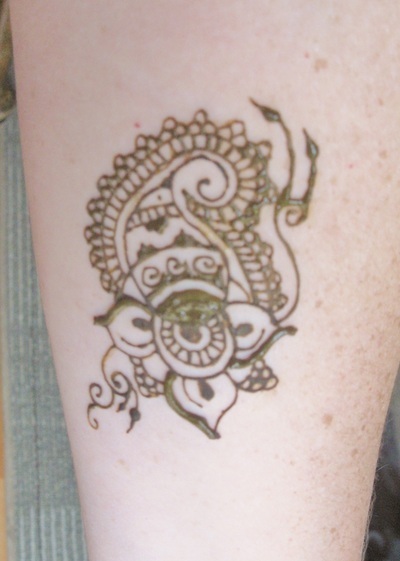 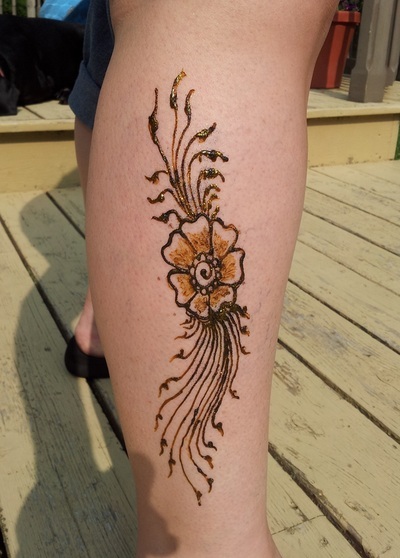 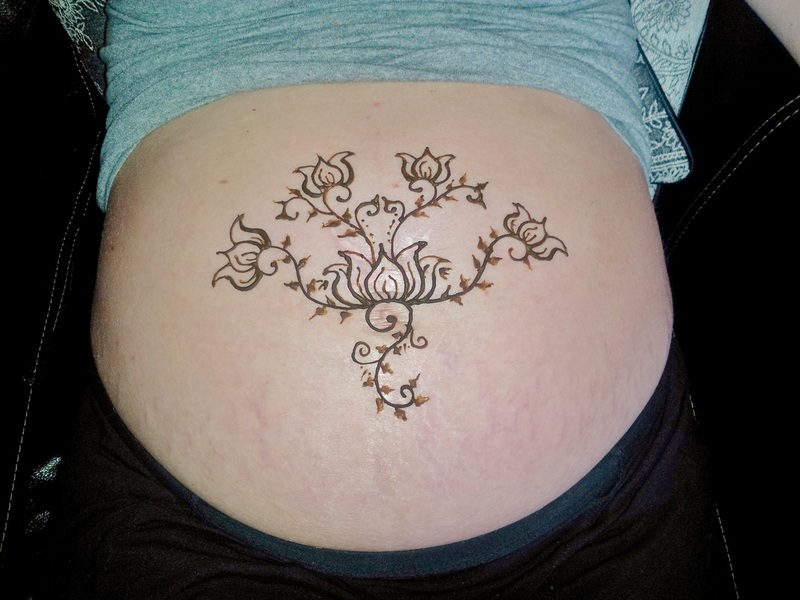 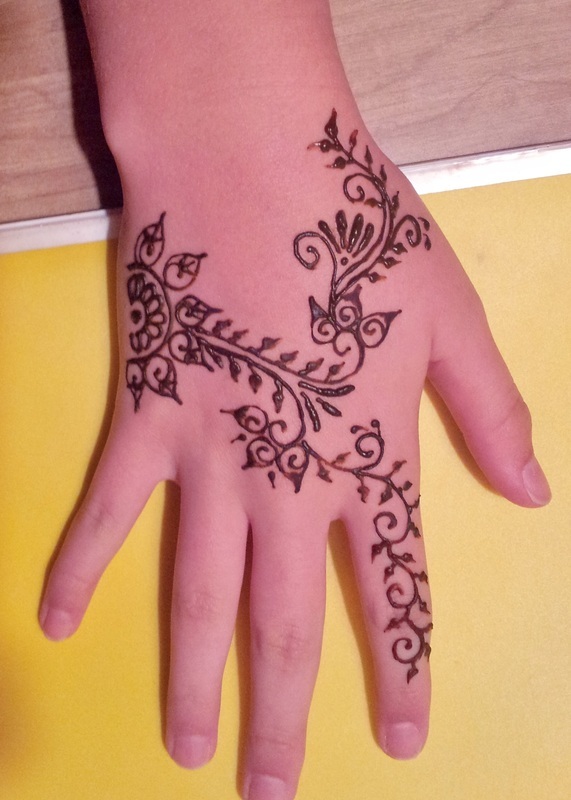 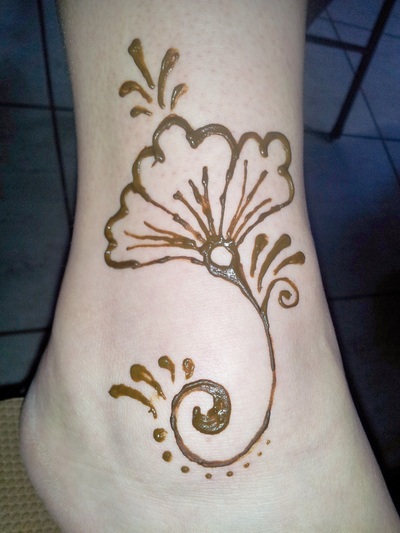 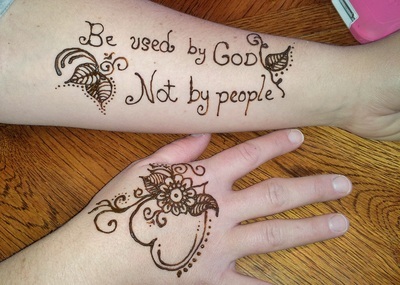 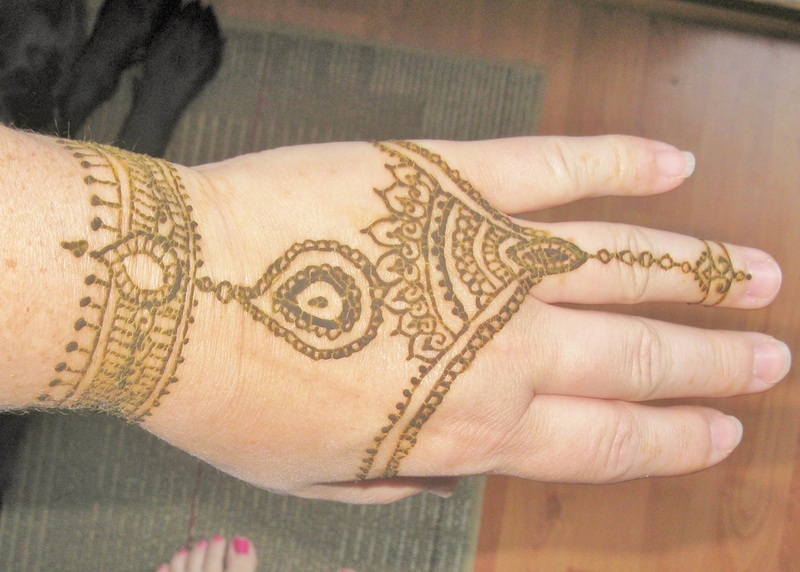 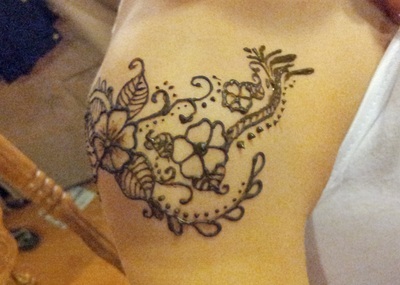 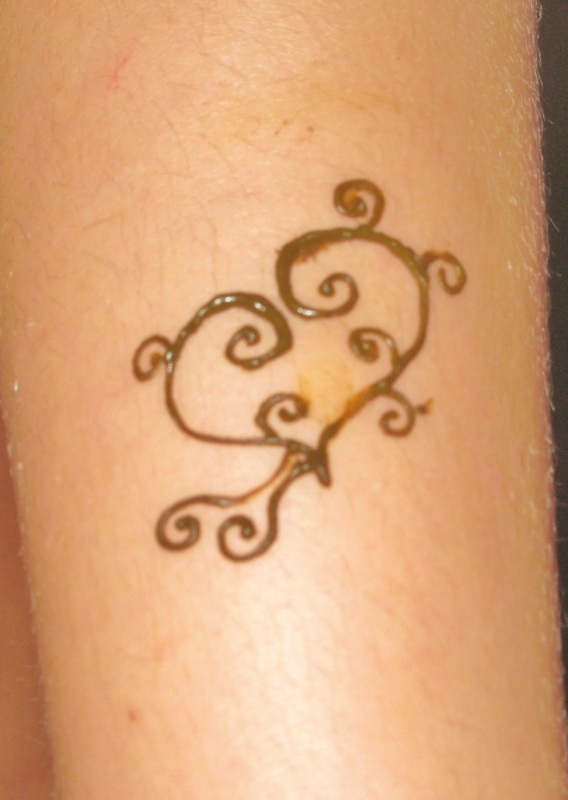 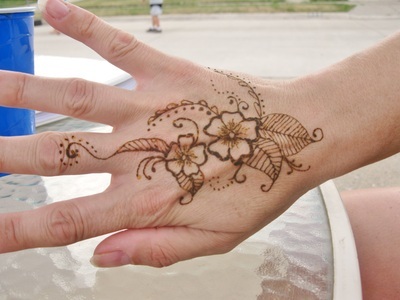 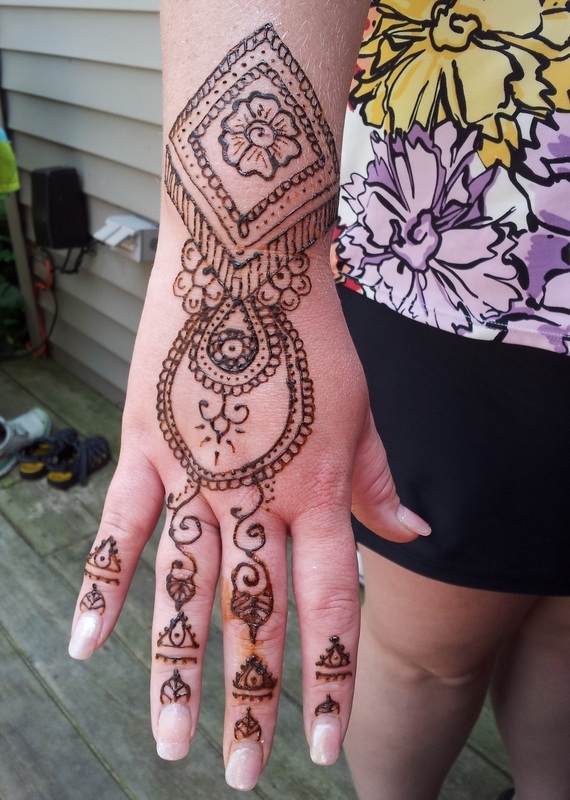 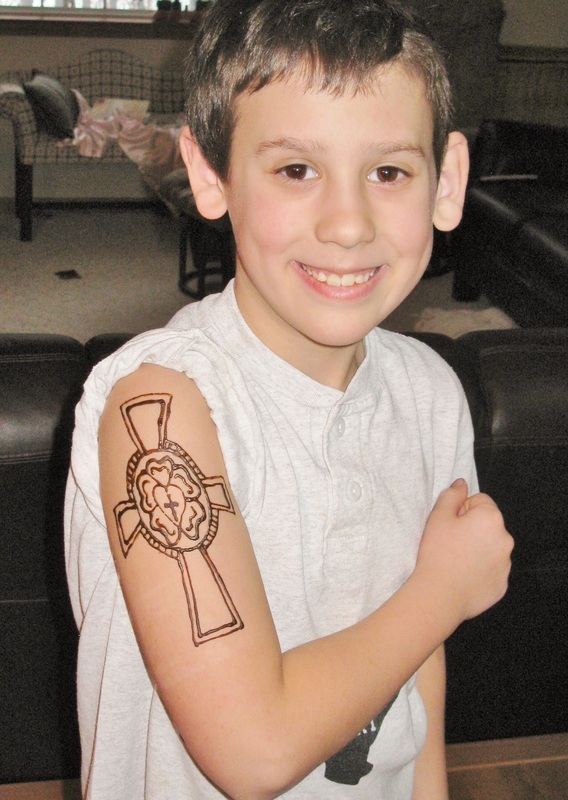 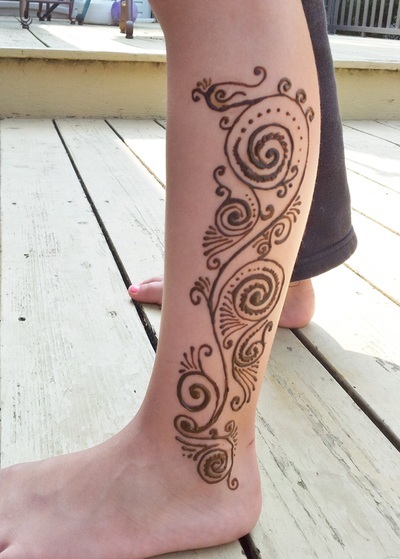 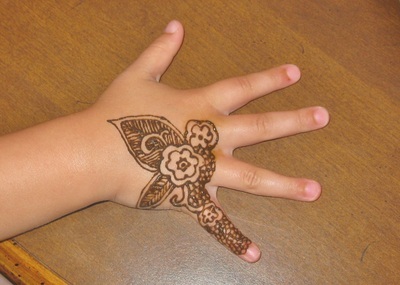 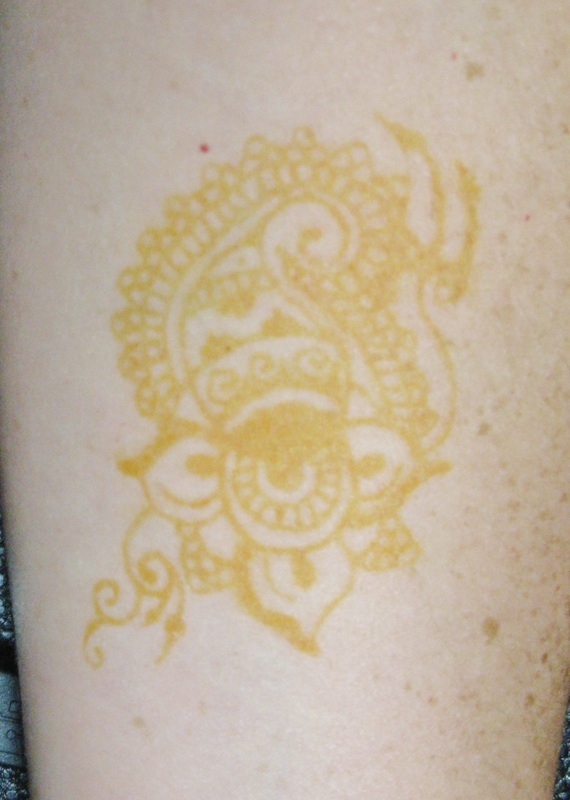 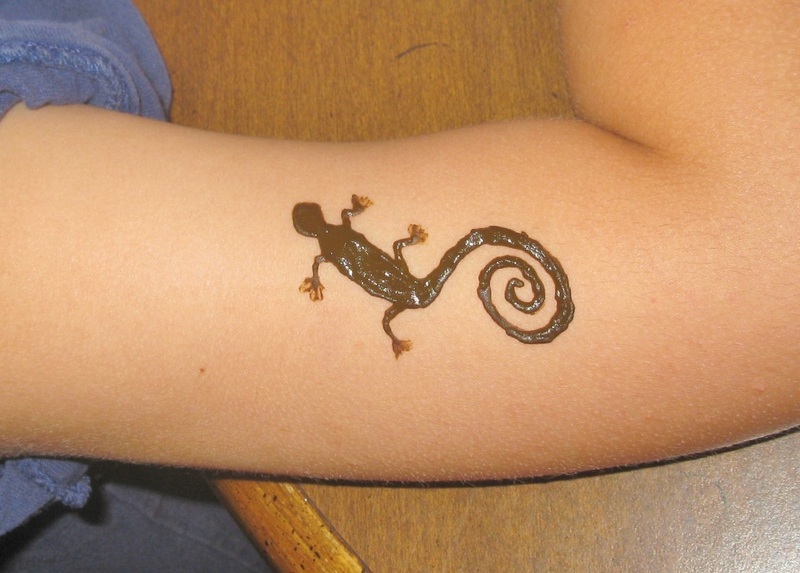 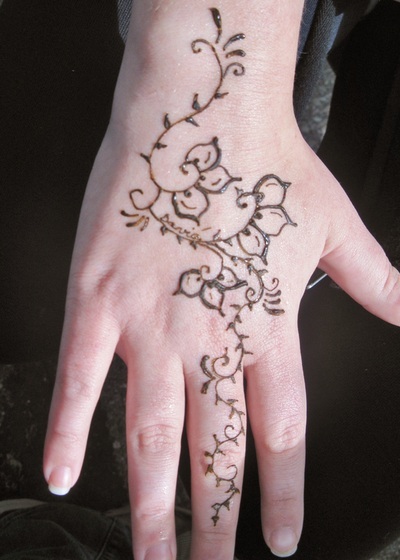 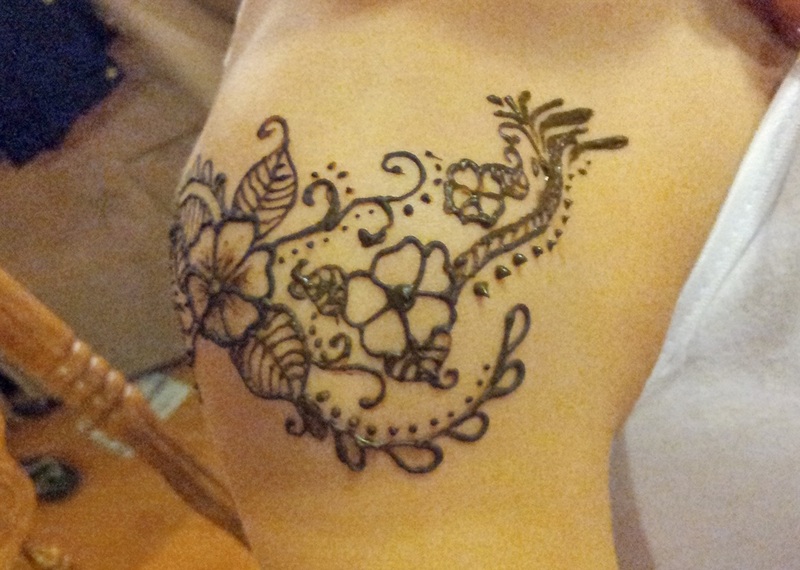 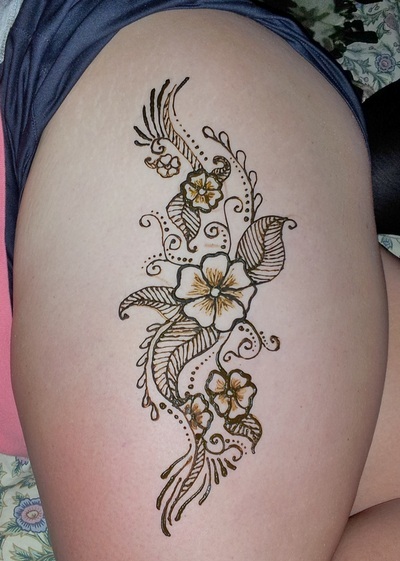 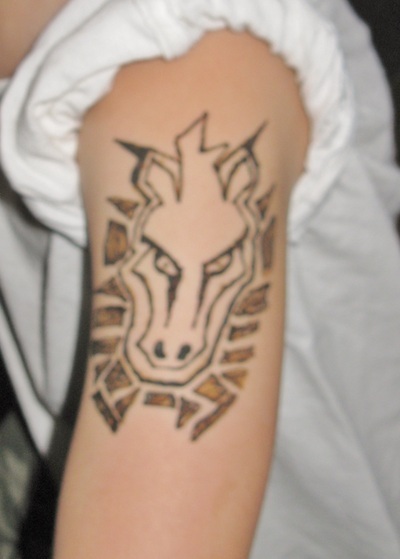 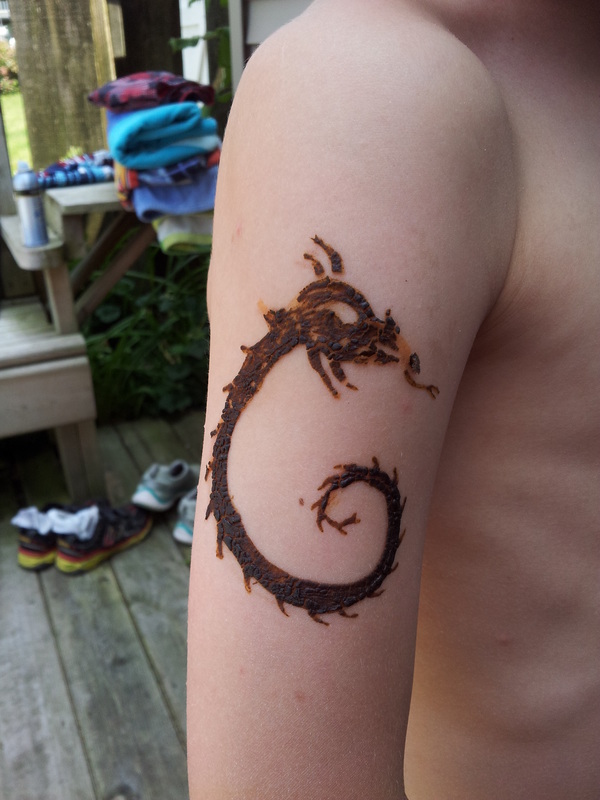 Henna is a plant grown in South Asian and North African countries. 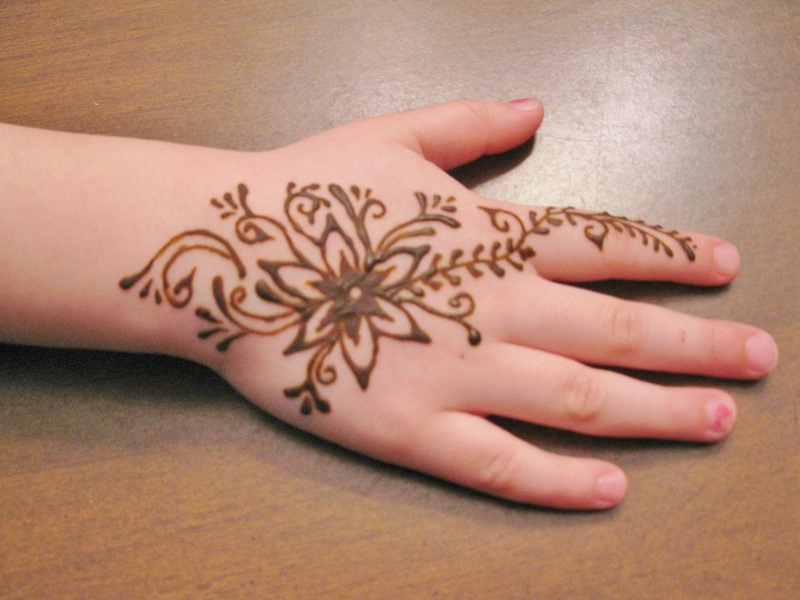 The leaves and stems are dried and crushed into a fine powder, and then mixed with water, lemon juice, and essential oils to form a paste. 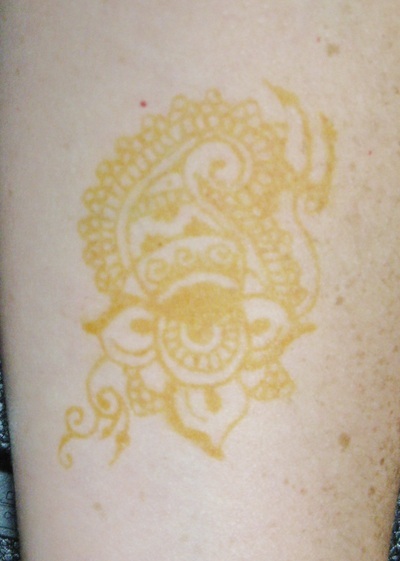 The paste is applied to the skin and left for at least 4 hours. 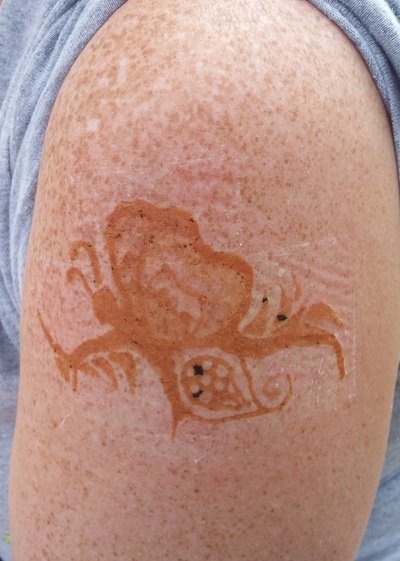 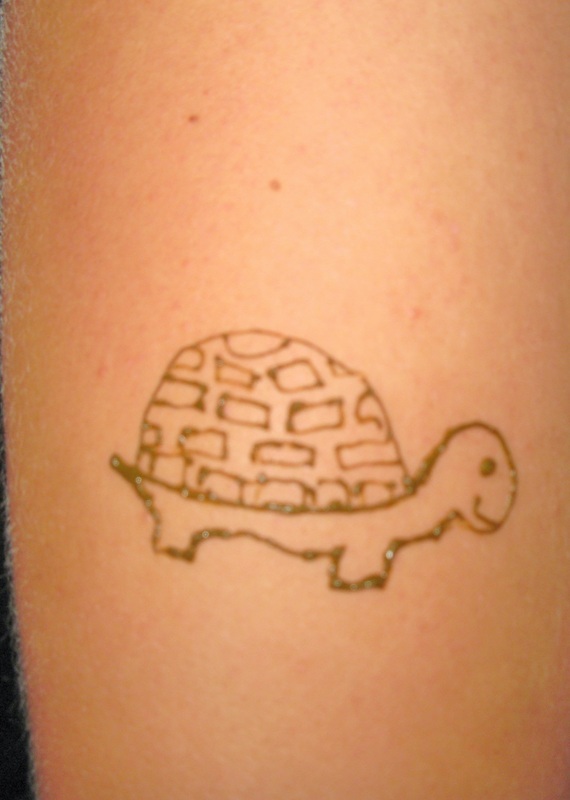 The paste leaves an orange to rust colored stain on the skin that slowly fades away over the next 2 weeks.